For an amazing night of theatre, you must see this show! "Weekend with Picasso" is the current offering of the AZ Theatre Company and it plays in Tucson until April 26 and then it travels to Phoenix. It is a one-man show written by and starring the marvelous actor and artist Herbert Siguenza. 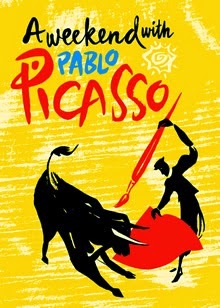 Picasso comes alive and is presented in all his complexity in this astonishing work.